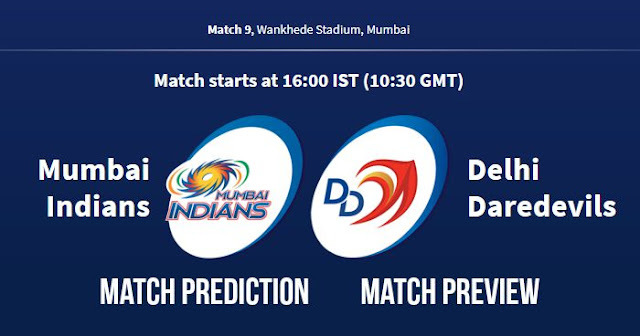 Home / DC / Delhi Capitals / Delhi Daredevils / IPL / IPL 11 / IPL 2018 / IPL 2018 Match Preview / Match Preview / Mumbai / Mumbai Indians / Wankhede Stadium / IPL 2018 Match 9 MI vs DD Match Prediction, Preview and Head to Head: Who Will Win? IPL 2018 Match 9 MI vs DD Match Prediction, Preview and Head to Head: Who Will Win? Mumbai Indians (MI) will take on Delhi Daredevils (DD) in the 9th match of the 11th season of Indian Premier League (IPL 2018) on Saturday 14 April 2018 at Wankhede Stadium, Mumbai. This a day match and as far as weather is considered, a hot and humid day can be seen; the temperature will be around 32ºC during match hours. And as far as Wankhede pitch is considered, a high scoring match can be seen. The grass was seen in the opening match of the tournament against Chennai Super Kings. 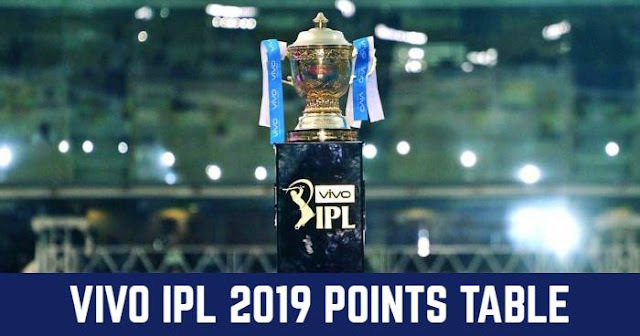 Both Mumbai Indians and Delhi Daredevils are yet to open their points account and are at the bottom of IPL 2018 Points Table, with two losses in two matches for both. Mumbai Indians lost both their match in the last match. Both Mumbai Indians opener, Caribbean batsman Evin Lewis and skipper Rohit Sharma are out of form. Hardik Pandya is suffering from an injury but expected to recover for the match and included in playing. Out of form overseas pace bowler, Ben Cutting and Mitchell McClenaghan will also be a concern for MI. Delhi Daredevils are struggling with their bowling. Leg-break spinner Amit Mishra may retain in the playing XI in place of Shahbaz Nadeem. In 20 encounters between Mumbai Indians and Delhi Daredevils in Indian Premier League (IPL); Mumbai Indians have won 11 matches and Delhi Daredevils have won 9 matches. In last five matches, Delhi Daredevils have only won 1 match; on the other hand, Mumbai Indians won 4 matches. At Wankhede Stadium, there were 6 matches played between Mumbai Indians and Delhi Daredevils; Mumbai Indians won 5 and Delhi Daredevils won 1. Result: Delhi Daredevils won by 7 Wickets. Playing XI for MI: Evin Lewis, Ishan Kishan(wk), Rohit Sharma(c), Suryakumar Yadav, Kieron Pollard, Krunal Pandya, Hardik Pandya, Mayank Markande, Mustafizur Rahman, Jasprit Bumrah, Akila Dananjaya. Playing XI for DD: Gautam Gambhir (c), Jason Roy, Rishabh Pant (wk), Shreyas Iyer, Glenn Maxwell, Vijay Shankar, Dan Christian, Rahul Tewatia, Shahbaz Nadeem, Mohammed Shami, Trent Boult.